The most recent beer of the month delivery included two beers from Strathroy Brewing. We’ve had a few beers from this particular brewer in the past as part of the beer of the month club and didn’t mind them. This month’s selections were a similar experience — they were decent but didn’t stick out in my mind as fantastic. The 1915 Longwoods Lager poured a pale yellow with minimal head. It had a clean taste to it with a slightly citrus note and was very smooth for a lager. 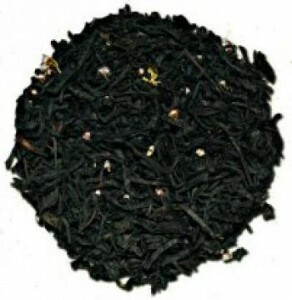 No harsh aftertaste or bitter notes. Fairly run of the mill but perfect on a sunny day. Andrew and I enjoyed the first sample of this beer under a shady tree in Muskoka chairs – perfect drink for that kind of afternoon. The 1815 Peace Wheat ale was a much darker colour than I would have anticipated. It was also slightly bitter which is a bit unusual for a Belgian style ale. There was a malt note and a very flight bit of hops in the taste. Similar to the Longwoods Lager this was a very smooth drinking selection that was good but not exceptional. Ianto Jones! On a spaceship! 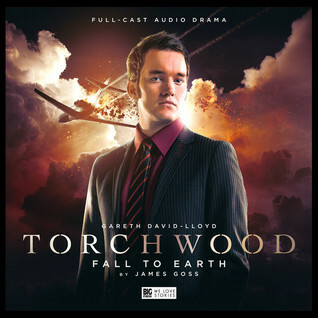 Fall to Earth is the second release in the first batch of the Big Finish Torchwood audios. The basic premise of the story – Ianto is stuck on SkyPuncher, the first private spaceflight, and he is the last surviving passenger trying to navigate the spaceship back to safety. And his only point of contact with Earth is via Zeynep an insurance call center agent. I loved this as a solo Ianto story it is packed with adventure and humour. Gareth David-Lloyd does an excellent job of conveying Ianto’s personality in the audio medium. He’s slightly awkward, funny and full of curiosity and creative solutions. The flirting between Ianto and Zeynep seemed more in line with Jack’s personality than Ianto’s but seemed to fit if you looked at it as Ianto trying to lighten the life threatening situation. The plot and setup of the story revolving around a phone call is surprisingly simple but it the story still manages to have some twists and turns that make it edge of the seat listening experience. If you like Torchwood, particularly the second season, or are a Ianto fan you will really enjoy this story. Well worth a listen. Two the most recent beer of the month club selections were from 4 Degrees Brewing Company, a small craft brewer in Smith Falls. One of this month’s beers was the “True North of 7” lager. The beer was alright, a standard lager that was smooth drinking but nothing special. I did some reading and apparently the beer was brewed by Jason Cook, who was responsible for creating Bud Light Lime. He brewed the “True North of 7” selection on a contract. I suppose that explains some of the blandness and my unimpressed feelings around the beer. The beer is branded to appeal to cottagers, campers, and hunters. The graphic design on the tall can was well done and had a bit of a Canadian redneck northern feel. But a nice looking container doesn’t makeup for poor tasting beer. The beer was described as having subtle hoppy notes, however that seemed pretty much none existent.